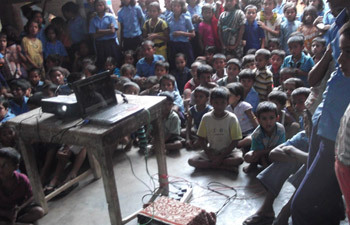 AS CEO, CFSI, IT GIVES ME GREAT PLEASURE TO INFORM THAT CHILDREN’S FILM SOCIETY, INDIA IN ASSOCIATION WITH RAPID ACTION FOR HUMAN ADVANCEMENT TRADITION, DISTRICT KISHANGANJ, BIHAR SCREENED CFSI FILMS IN 50 SCHOOLS OF BIHAR IN BEGUSARAI DISTRICT, COVERING 50 SHOWS & CHILD AUDIENCE AROUND 22,743. 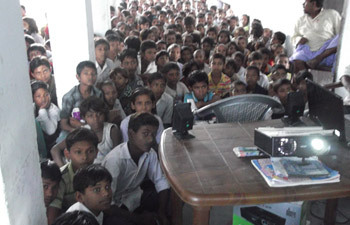 TO NAME A FEW SCHOOLS WHERE SHOWS WERE HELD – “M.V.MAHAJI RAMDIRI SCHOOL, P.V.RAMNAGAR BINDTOLI SCHOOL, P.V. 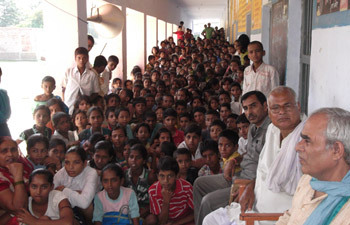 RAMNAGAR NAYATOLA SCHOOL, URDU MAKLAB SARAI JAMA MASJID SCHOOL, PRATHAMIK MAKLAB KHATOPUR SCHOOL, PRATHAMIK VIDYLAYA CHATURBHUG SCHOOL, PRATHAMIK VIDYLAYA RAMDEVI SCHOOL, ETC.